KAPIC is our lightest and stiffest MTB crankset ever inspired by the 6 victories of ROTOR athletes in the legendary Cape Epic, our most successful MTB race to date. KAPIC is named in honour of the CAPe ePIC, the most prestigious marathon stage race where the world’s elite riders undertake a combination of gruelling rocky climbs, spectacular forested singletracks and thrilling technical downhills. KAPIC has been designed to mirror the strength, agility and speed of the cheetah. The bold aesthetic includes chiselled features and the iconography symbolizes the geometrical patterns of tribal Africa. KAPIC's innovative modular system allows you to select each crank component based on your unique bike setup and physical characteristics. It’s available in either BOOST or standard axle to fit different frame standards. Direct Mount technology features a proprietary spline interface connecting crank arm, axle and chainring allowing simple assembly and disassembly of your crankset. 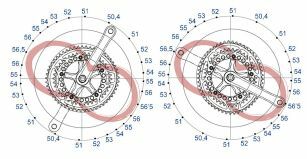 Select the perfect chainring size for each ride and easily remove & install chainring with only one bolt. 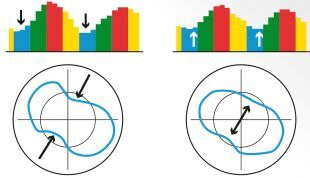 When combined with Q RINGS, OCP mount technology allows you to adjust your Optimal Chainring Position (OCP) to within one degree increments to precisely configure your unique OCP to maximize power output to your distinct pedaling style. Crafted using expert CNC processes, KAPIC includes our Trinity Drilling System, with three internal holes from axle to pedal, giving the dual benefit of an exceptionally light crank with superior stiffness to handle the toughest of MTB routes. Customize your crank arms with rubber bumpers in a choice of seven stylish colours: black, blue, green, yellow, red, pink, or orange.